Officials during the deal signing ceremony. Credit: © Lufthansa Technik. 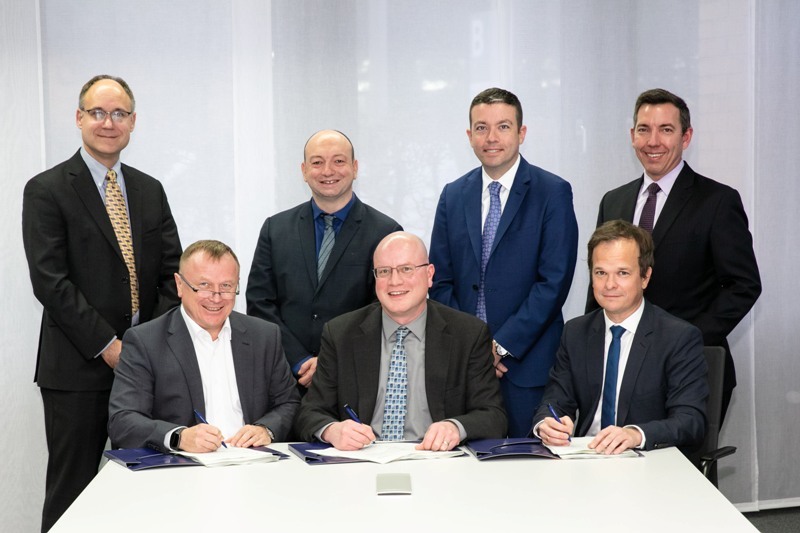 FADEC Alliance has signed an agreement with Lufthansa Technik to offer full authority digital engine controls (FADEC) availability services to LEAP engines. As part of the 25-year deal, both companies will provide asset management, logistics and maintenance, repair, and overhaul (MRO) services to their airline customers who use LEAP engines with FADEC systems. The companies are expected to employ the engine controls for support agreements, loans and exchanges across their airline customers to bring comprehensive asset management services to the commercial transport sector. Lufthansa Technik will also manage a global pool of line replaceable units (LRU) to make the engine-related services available to the airline customers. The company further intends to set up a certified repair station in Hamburg, Germany, for the LEAP FADEC. The FADEC Alliance MRO network in Massy, France, and Fort Wayne, Indiana, US, will provide technical support to the airlines. Lufthansa Technik Asia Pacific and Fulfillment, Component Services vice-president Burkhard Pfefferle-Tolkiehn said: “The exceptional FADEC Alliance products are crucial for operators and timely availability of spare parts is of utmost importance. FADEC Alliance is a joint venture established by GE Aviation and FADEC International in 2012. The FADEC Systems feature a set of digital computers, known as engine control units, and a pressure sub-system to help control all aspects of aircraft engine performance, including engine fuel flow and variable engine geometries. A number of aeroplanes, including Boeing 737 MAX, Airbus A320neo and COMAC family 919 aircraft, currently use the FADEC Systems.